Fn project is a cloud agnostic FaaS platform and a common question is how to use Fn in public clouds. 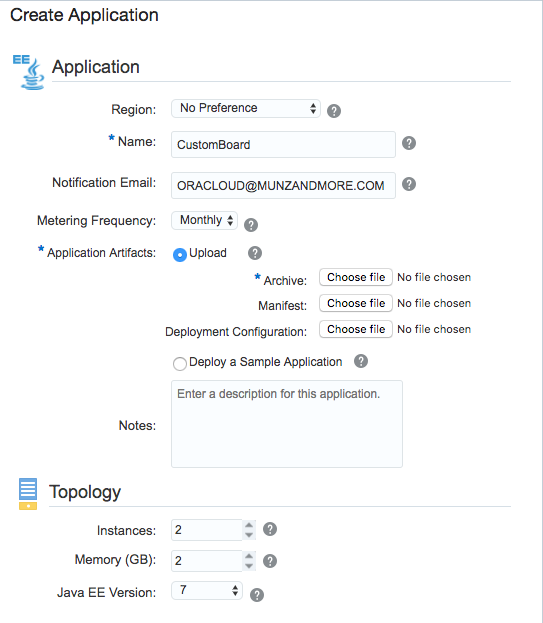 Similar to the local installation that we used in the Oracle blog posting (link soon), it can also be installed on any public cloud IaaS. For most IaaS it is enough to pass the installation command directly to the creation of a compute instance as so called user-data. User data is commands that are acted upon when the instance is provisioned. Also when running Fn in a public cloud, don’t forget to enable access rules for Fn server allowing port 8080 – depending on requirements – either from your own IP or all public IP addresses. Once Fn server is running on your favourite cloud provider, you could deploy the recommendation engine mock example mentioned in the posting above in two different ways. Another, probably even more useful way to deploy the function is to set the FN_API_URL environment variable locally, point it to the remote cloud instance, and run the local Fn deploy command against the remote cloud instance. Note, that with the commands above you never had copy over the function or the container image to the cloud instance. When the function will be invoked the first time, Fn will pull the Docker container from the registry, store it locally, and then simply run the function. Obviously, when running Fn project on an IaaS you do not get the true pay per invocation benefit as for a FaaS implemented by the cloud provider as PaaS. You will get automated scalability to some degree, since it is built into the load balancer Fn LB. At the end running Fn on IaaS is only serverless from a user perspective. It will be interesting to see if a cloud platform (most likely Oracle, since Fn Project is driven a lot by Oracle) will provide a proper FaaS service with pay per invocation and automated scalability that is compatible with open source Fn Project. A recorded live demo from Devoxx conference about deploying Fn on IaaS can be seen here. Get the demo app used in webcast from here.